From The Colorado Independent's Susan Greene. As weeks go, the first one of September was especially tough for Fremont County Coroner Carlette Brocious. Three residents of the 47,347-person county killed themselves in four days. That’s a record in her eight years in the office. On Sept. 8, Markus Owen, 56, hanged himself with a shoelace in his cell at the Arrowhead Correctional Center, a minimum security state prison in Cañon City. His cellmate was down the hall showering at the time. Owen had been sentenced to eight years in prison on a domestic violence case in Arapahoe County. He had spent 17 months behind bars. Brocious – who has years of experience investigating death scenes in a county with more prisoners per capita than anywhere in the United States – told Owen’s daughter that, even in death, something stood out about her dad. “His cellmate was devastated. Everyone who knew him in there was shaken up. I’ve never done a prison interview where not one guy on the unit had something bad to say about someone. Not one. I’ve never had that happen. Everyone liked this man. I mean they really, truly liked him,” she said. The DOC wouldn’t comment on Owen’s mental health history or care, citing the need to maintain confidentiality. In the course of several court cases, the department has said it’s trying to improve mental health care in its facilities. Some of those reforms stalled after the shooting death in March of Department of Corrections Director Tom Clements. His replacement, Rick Raemisch, has pledged to move forward with better mental health programs. Details about the third suicide victim are far more difficult to unearth. Robert Knott, 48, hanged himself September 7 with a bedsheet in his cell at United States Penitentiary Florence ADMAX, popularly known as ADX. 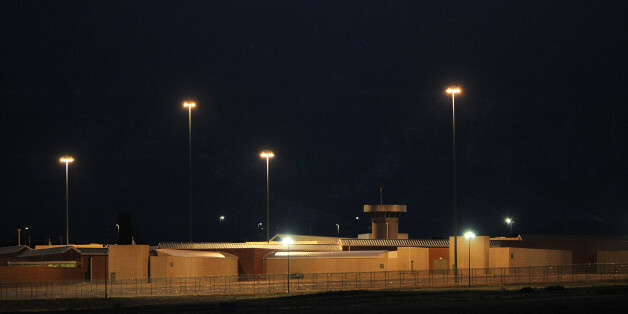 The all-solitary confinement supermax is the highest security prison in the country. Word of Knott’s death spread in the quiet ways news occasionally escapes from ADX. Whispers pass between guards and inmates as food trays are handed in and out of slots in cell doors. Prisoners communicate by “kites,” written notes cast with string along cement floors under cell doors or wrapped in plastic and passed through toilets through carefully choreographed flushing. Prisoners allude to policy changes, suicide attempts and suicides in letters, many of which are written in cryptic language that may or may not make it past the guards who censor the mail going out of and coming into the prison. Some inmates also pass word to the family members or legal advocates who occasionally visit from all corners of the country and globe. ADX has housed dozens of notorious convicts, including Zacarias Moussaoui, Ramzi Yousef, Richard Reid, Ted Kaczynski, Eric Rudolph and Tery Nichols. Knott wasn’t so well known – at least not since 1988 when, at age 23, he went on a nine-day three-state kidnapping spree and was captured in Washington state during a police shootout that killed his accomplice. According to legal records, he had been diagnosed with schizophrenia. Brocious, who is bound by law to investigate and determine the manner of deaths in her county, was given no mental health information about Knott. Brocious said Knott was alive when an ambulance team arrived at ADX. U.S. Attorney John Walsh’s office referred an inquiry about Knott’s death to a public information officer at ADX. That spokesman, Randal Mitchell, couldn’t be reached through ADX’s notoriously clunky, complicated phone system. The Justice Department not only prevents journalists and other watchdogs from entering the prison’s grounds, it also blacks out information about prisoners there, living or dead. Just as there are no pictures of the men housed at ADX, there seems to be no real way to find out from the prison when one of them has committed suicide. There is in Brocious’s voice both a matter-of-factness that comes with having corpses as clients and a deep tone of empathy when she speaks of the need to fill out the histories of the lives of the people whose bodies have arrived at her doorstep. Knott’s official cause of death, asphyxiation, doesn’t explain what led him to the breaking point, what kind of mental care, if any, he was getting, or how he coped with the extreme isolation and boredom of long-term solitary confinement at ADX. Mental health care at the supermax is the subject of a class-action lawsuit against the U.S. Bureau of Prisons. Plaintiffs allege that prolonged isolation exacerbates prisoner mental health problems. In 2010, Jose Martin Vega, convicted on armed drug trafficking and racketeering, hanged himself. He suffered a long history of psychiatric problems that were treated with drugs. Jose Martin Vega, unconscious and shackled at ADX. Knott left no suicide note. “There’s no information that Mr. Knott may have told anyone about why he might do this. There’s no information that there was anyone to tell,” said Brocious, whose records show Knott has no next of kin. Late on Tuesday, 10 days after his death, Knott’s body was still at a mortuary in Fremont County. Brocious was waiting to hear from federal officials about where to send it. In this mug shot released by the U.S. Marshals Service June 15, 2011, Former U.S. Senator John Edwards is seen. Edwards plead not guilty June 3, 2011 to charges of using campaign funds to help hide a mistress and the baby he had with her.